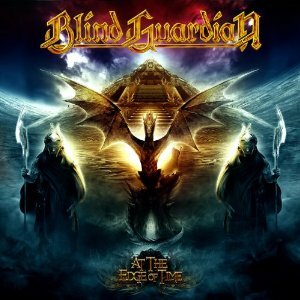 Hall of the Mountain King: Review: Blind Guardian, "At the Edge of Time"
Filled with unneccessary symphonics, the track has its moments, mostly during the more upbeat portions, then kind of drags on for a few minutes, then gives another little blast of something interesting. “Valkyries,” likewise opens with a dark melancholy ballad line, but quickly picks up with a dramatic guitar riff that shows some promise. 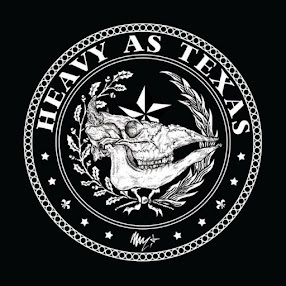 More of that milquetoast sound drags it down despite a nice soaring chorus and some cool guitar melodies sprinkled throughout. The biggest problem, though, is that so many of the songs are just not memorable. “Ride Into Obsession” is a galloping power metal number that, at times, reminds the listener of the band’s earlier work, but as I write this only moments after listening to the song, I honestly can’t remember much about it. “Road of No Release” has too much drama and not enough energy. “Control of the Divine” sounds like a leftover from A Twist in the Myth, and that’s not a good thing. There are, of course, a few ballads. “Curse My Name” is the obligatory medieval ballad with traditional instruments. I happen to love these, and while it’s not as strong as some of their past efforts, I still like it. “War of Thrones” opens with some nice piano work and has kind of a Trans-Siberian Orchestra feel that I like. The maddening part of the record, though, is that there are some really good songs mixed in with the mediocre. “Tanelorn (Into the Void)” reminds me of something from Nightfall in Middle Earth with its big, memorable chorus. “Wheel of Time” delivers a very cool mix of traditional instrumentation, symphonics and metal that blends Middle-Eastern, Spanish and gypsy themes with heavier guitar riffs. While the song does have some lulls in its 9-minute running time, it’s never dull or uninteresting. But the song that really makes this record bittersweet is “A Voice in the Dark.” The next to last track on the record, it opens with the most energetic riff on the album, and has more aggression and power than anything else on the record. It’s strong from start to finish, and makes me wonder what might have been if the band had approached every track with this kind of passion. Like 2002’s A Night at the Opera and 2006’s A Twist in the Myth, At the Edge of Time is not a terrible record, just terribly disappointing for those of us who have fond memories of the band’s offerings from the 1990s. I think you're being unfair in your assessment of the album. While Blind Guardian is moving away from their old style with new songs, it's intentional. It was either in a review or on the band's website where Hansi had said that he wouldn't attach any one genre to the band, as they try to go in a different direction with each new album. Blind Guardian has always moved forward, and I respect that. Imaginations from the Other Side and Nightfall in Middle Earth (my two personal faves) are very different in style from Battalions of Fear or Follow the Blind, but I like those two, as well. The last few records just haven't been that interesting to me, though. I always say that my reviews reflect only one person's opinion -- mine. Please don't take them as a be-all, end-all assessment of the merits of a record, because I don't. It's just my take. Thanks for taking the time to read it.